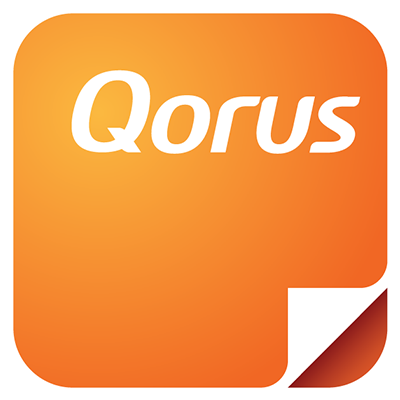 Below is an example of a Qorus Collaborate Daily Update email. As the name suggests, this email goes out once every 24 hours, and provides a daily digest of assignment activity. In this particular example, Molly Clark has created assignments for herself and other people. She has also received several assignments of her own to complete. Section A: The first part of the email serves to keep assignment owners informed of any status changes that occurred in the last 24 hours, in the assignments they have created for others. In this example, five assignments that Molly created have been completed (indicated in green text), and these assignments can be found in three different documents (file names are hyperlinked and indicated in blue text). Clicking on a document name will launch a new browser window and open the document straight off of SharePoint Online or OneDrive for Business. Section B: The second part of the email serves to keep assignment recipients informed of any new assignments that have been allocated to them in the last 24 hours by other people. In the example above, Molly has four new assignments, and all with due dates. Molly can click on the document names (in blue text) to open the documents directly and begin working. Section C: Then the third and last part of the email is intended to provide a snapshot or summary view of the statuses of all assignments received, and that are still 'active', regardless of when they were created. Here, Molly has a total of seven active assignments. An active assignment is one that has not yet been marked off as 'closed' by the assignment owner, and still appears on Molly's To-do list. Of the current active assignments, she has completed two, rejected one, and still has four more to go. There's a link in the email that will take Molly to her dashboard, should she choose to click it. This goes to the Qorus Management Portal, where it's possible to access her to do list, the assignments she's created, collaboration insights, and more. Then for urgent assignments, there's a 'Notify Immediately' check box under 'Show advanced options' that can be checked if the assignment is, well, urgent. Whenever this option is checked, email notifications will go out immediately following the creation of the assignment, as well as immediately following any status changes.